Designed to meet the diverse needs of the working musician. 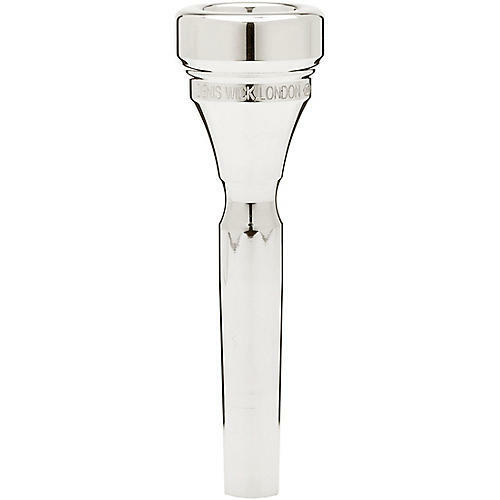 The Classic Series trumpet mouthpieces offer a traditional outer shape plus balanced cup, rim, throat and backbore combinations to meet the needs of any player. Each mouthpiece offers the very best in outstanding control, effortless sound production and unsurpassed tone quality. Constructed with the input of some of the most outstanding players active in London, these mouthpieces are designed to meet the diverse needs of the working musician. 1X: 17.50mm cup diameter; 5.23 rim width; 3.90mm throat; Barrel backbore. Extra-large symphonic style mouthpiece based on the Wallace 1870 F trumpet. Resonant high register and extra wide rim for added comfort. 1: 17.25mm cup diameter; 5mm rim width; 3.90mm throat; Barrel backbore. Large mouthpiece ideal for symphonic playing. Large, open sound with excellent flexibility. 1C: 17.25mm cup diameter; 5mm rim width; 3.90mm throat; Barrel backbore. Similar to the model 1, but easier to play and more flexible. Better focus in the upper register. 1.5C: 17mm cup diameter; 5mm rim width; 3.80mm throat; Barrel backbore. Slightly wider rim to add extra stability and comfort. More brilliant and flexible. 2W: 17mm cup diameter; 5.50mm rim width; 3.70mm throat; Barrel backbore. Perfect balance of tonal depth and brilliant overtones with increased endurance from a wider rim. Scintillating high register. 1.25CV: 16.75mm cup diameter; 5.40mm rim width; 3.80mm throat; Open backbore. Very warm sound with excellent endurance. The V-shaped cup gives a dark tone suitable for Mahler and Bruckner. Paul Archibald inspired model. 3CV: 16.75mm cup diameter; 5.50mm rim width; 3.80mm throat; Barrel backbore. Beautiful depth of tone with brilliant high register. Developed specially for the Eb trumpet; ideal for the Haydn and Hummel Concertos. Paul Archibald inspired model. 3: 16.75mm cup diameter; 5.05mm rim width; 3.70mm throat; Barrel backbore. Warm, dark sound with excellent flexibility. Good all-around mouthpiece. 3E: 16.75mm cup diameter; 5.05mm rim width; 3.80mm throat; Barrel backbore. Excellent projection with a bright, crisp sound. Very successful ‘screamer’ jazz mouthpiece. 4: 16.50mm cup diameter; 5.18mm rim width; 3.70mm throat, Barrel backbore. Stable center of pitch and warm, dark sound. Good all-around mouthpiece. 4B: 16.50mm cup diameter; 5.18mm rim width; 3.70mm throat; Barrel backbore. Perfect for beginners. Has a warm tone and plays very easy. All-around mouthpiece with great flexibility. 4C: 16.50mm cup diameter; 5.18mm rim width; 3.70mm throat, Barrel backbore. Harmonically rich tone with a strong center of pitch. 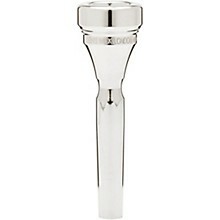 All-around mouthpiece with great high register. 4E: 16.50mm cup diameter; 5.18mm rim width; 3.70mm throat; V-type backbore. Plays easily into the upper register with a bright tone. Great for jazz work. 4X: 16.50mm cup diameter; 5.75mm rim width; 3.70mm throat, V-type backbore. Extremely comfortable cushion rim with excellent projection and stability with easily attainable high register. Great for jazz work. 5: 16mm cup diameter; 5.30mm rim width; 3.70mm throat, Barrel backbore. Warm sound with good response and stability in all registers. Traditional French cup for jazz and light music players. 5E: 16mm cup diameter; 5.30mm rim width; 3.70mm throat; V-type backbore. Upper register plays easily with a bright, crisp sound. The ultimate ‘screamer’ mouthpiece. 5X: 16mm cup diameter; 6mm rim width; 3.70mm throat; V-type backbore. Added comfort from extra wide cushion rim. Excellent projection and focus in the high register. Great jazz mouthpiece.